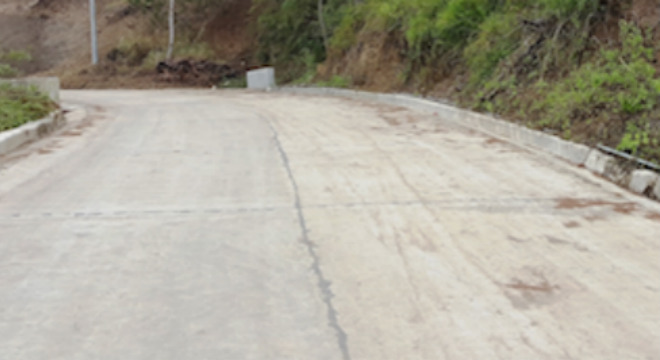 BAUKO, Mountain Province – The present administration of Mayor Abraham B. Akilit was able to access initial fund support from concerned government agencies for the rehabilitation and upgrading of existing access roads in the municipality that will link potential trade, industry, economic and tourism zones that will contribute in efforts to spur economic growth in the countryside. Aside from the convergence projects of the Department of Public works and Highways (DPWH) and Department of Tourism (DOT) for roads leading to potential tourist destinations, Mayor Akilit was also able to access the funds for the construction and rehabilitation of some access roads through the DPWH and Department of Trade and Industry (DTI) through the program roads leading and leveraging industry and tourism. Among that roads that benefited from the major programs of the national government include the Abatan-Bagnen road, Bila-Bagnen Oriente road, Lacbaben-Mayad road and the Lukib-Nagawa-Tamug-o-Suyo-Panas road. The local executive said that the projects involve the construction and improvement of the roads that will lead to trades, industries and economic zones in support of coffee, food processing and heirloom rice industries which are common in the said municipality. Akilit added that some proposals have been previously submitted by the local government to the concerned government agencies for inclusion in the funding support that will be provided to other similar projects that will be implemented in the coming years. Earlier, the Regional Development Council (RDC) and the Regional Peace and Order Council (RPOC) endorsed for funding some 54 road improvement projects under the DPWH-DTI convergence program for consideration in the preparation of the budget of the said agencies for 2020. Mayor Akilit expressed confidence that a number of the projects that the local government submitted for funding this year which were not provided with the needed funds will be considered for funding next year so that infrastructure development will be cascaded to the potential growth areas that will be instrumental in spurring economic growth in the future. Apart from concreting of the roads, the works that are being done by the concerned government agencies include the improvement and widening of the roads to meet the prescribed standards of roads built by the national government and for the said roads to last their prescribed economic life. Bauko is one of the thriving urban centers of Mountain Province because of its proximity to northern Benguet and Tagudin and Cravantes, Ilocos Sur considering the presence of large tracks of agricultural farms making the municipality one of the vegetable-producing towns in the Cordillera aside from other allied economic activities that serve as the sources of livelihood of the increasing number of population. He said that concerned government agencies in charge of supervising and monitoring the projects being implemented are amply aided by representatives of the local government to ensure that the project implementers will adhere to the prescribed standards in the implementation of vital road projects in the locality.